If you are single and ready to mingle then you must be on every other dating and hooking up app around there. Among all such apps, Tinder stands atop. It might have taken you days to set up the right profile and a great deal of effort from your friends to help you build up your profile. But just a good profile isn’t gonna help you land pretty girls! Yes, a good profile will certainly grab the attention of girls but there are some pretty ones out there for whom a perfect profile won’t be enough. For them, you need to take the first step and break the ice. Though you are one whose effort and confidence is going to get you the girl we are here for the ice breaking tricks. 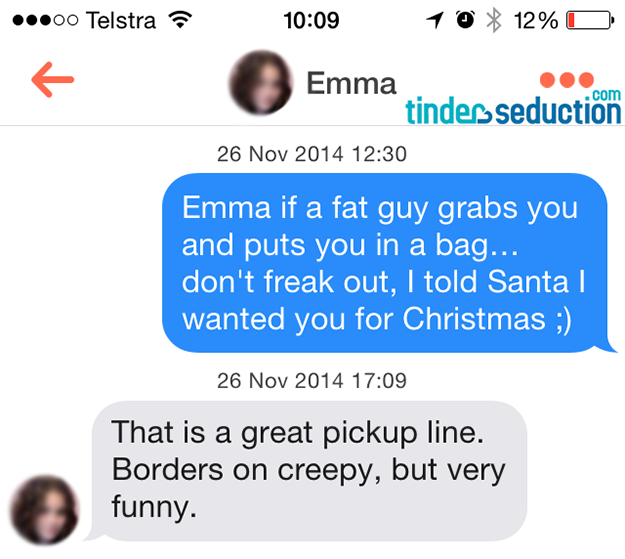 We have gathered some of the most effective and best tinder icebreakers of 2018 for you guys right here. 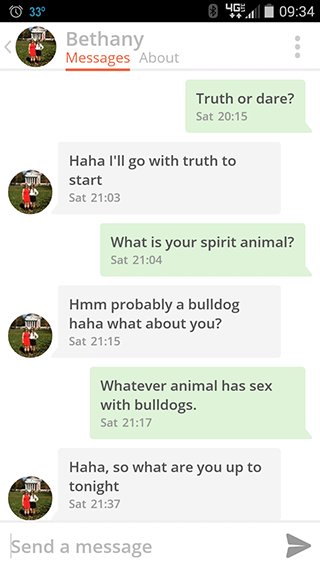 This article will not just provide you the best of the best tinder icebreakers of 2018 but will also help you know what is lacking in you. We will also give you some tricks of how you can connect with the person you want to date. Hitting the right notes at the right time will create the magic and we are gonna help you achieve that. To get the attention of the girl you want; you need to try something different than the usual. Things that used to work in the past may not work anymore on dating sites and apps. Let us help you know some of the do’s and don’ts of online dating like tinder,facebook, and other similar type sites. Never ever start your conversation with a cheesy movie pick up line. Gone are those days when girls used to dig at boys going all filmy. They are more into men with a sense of practicality. So, avoid all those ‘Raj, naam to suna hi hoga’ kind of ice breakers. Complimenting a beautiful girl in the first line itself may not work anymore. A hot girl is used to such comments and compliments on her looks. So, what’s new in your compliment? If you still want to compliment her then try doing that after talking a while with her. I have 4 words for you “Hol I Day Inn”. A MATCH, I NEVER GET MATCHES, HOW ARE YOU, WHERE ARE YOU FROM, DO YOU HAVE A GIRLFRIEND, I CAN’T WAIT TO TELL ALL MY FRIENDS, I’VE ALREADY TOLD MY PARENTS, I WANT YOU TO MEET THEM THIS WEEKEND. Tinder brought us together for a reason and that reason is babies. You’re the cutest zombie I’ve ever seen. Are you a post-apocalyptic teenage tribute? Cause you look like you’ve got survival skills. Excuse me; I think you have something in your eye. Nope, it’s just a sparkle. I’m currently taking applications for a little spoon position. 1-10, how would you rate your cuddling abilities? I have 4% battery remaining. I chose to message you. Did I choose wisely? In a little more than 24 hours… I’m getting married. Thank God I’m wearing gloves, or you’d be too hot to handle. I know this profile is fake, but can I get the number of the model you used in your pics? You, with all those curves! Me, without any brakes! Can I borrow a quarter? I want to give my mom a call and let her know I met the girl of my dreams. There must be something wrong with my eyes. They seem to be stuck on you! Nothing fixes a bad day, like seeing a pretty girl smile. Will you smile for me? Are you ready to talk, gorgeous? I can only take so much flirting from a distance. I’m curious: what does an angel put on her resume? Today is your lucky day. I’m going to give you the satisfaction of turning me down. Go ahead. I dare you. Who says men don’t ask for directions? Because I need help; I’m getting lost in your eyes. Are you an ideal amount of red phosphorous? I’m a wooden stick. Looks like we’re a match! Titanic. That’s my icebreaker. What’s up? Phew! I almost swiped left and had a heart attack. Saved at the last minute! Your natural beauty radiates from my iPhone. I instantly acquired a tan from the warm heavenly glow. Brb, applying aloe vera. I hope you don’t mind cheesy pick-up lines, because if you were a fruit, you’d be a fineapple. When I get sad, I stop being sad. And I am awesome instead. True Story. 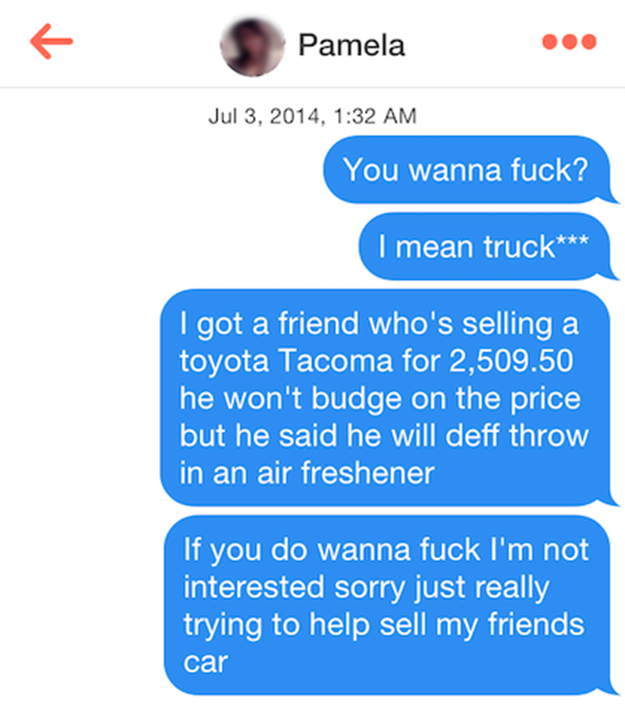 If you want to know how to break the ice on Tinder, the first you need to understand what your girl wants. There are many other things that you need to take care of while talking to the girl you want to date. 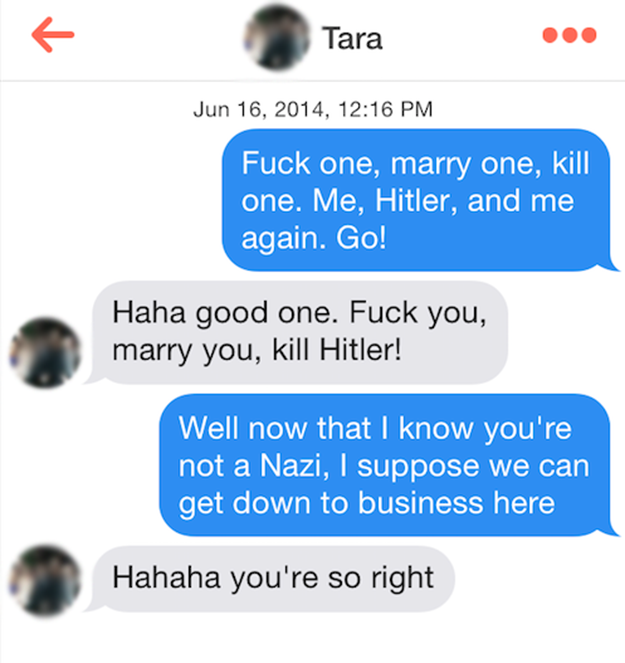 We have listed all such things that you should take into consideration while breaking the ice on Tinder. Get to know her well: Try to know more about her by asking her about her passions, her interests etc. these things will help you build up your plans. If the girl loves sports and adventures, then you can take her for trekking or camping. If she loves opera or movies, then you can go for movies dates and opera shows. Thus, gradually you will be able to bond with her. You can try to know about her interests and passions from her photos and previous posts. Strike out the similarities that you guys have and then start the conversation based on that very topic. 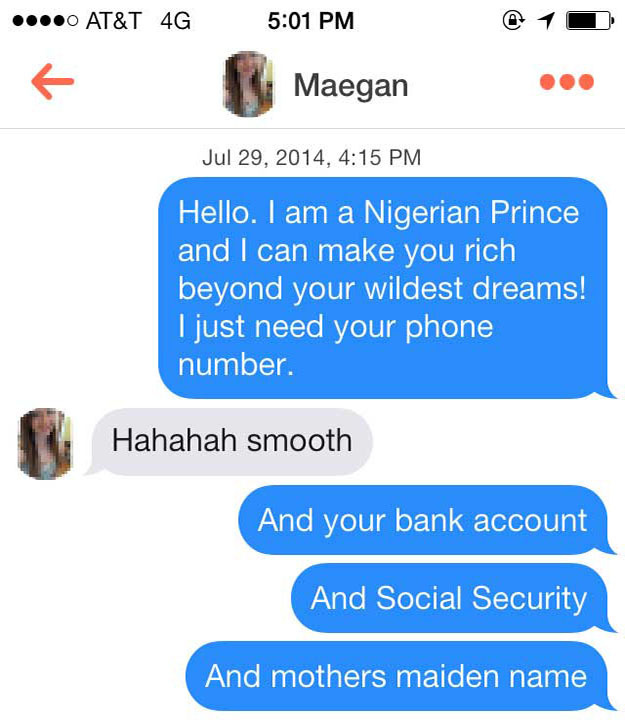 Your tinder icebreaker line can also be based on these interests of her. Because of which she will be more comfortable in talking about it. when she finds out that you have also got similar interests, she will be interested to know more about you. Food: Most of the girls love to connect over food. Be it chocolates, sea food or any particular cuisine, they would go on and on about their favorite food or cuisine. You can try to lure her into dates with her favorite food. So, if you have got a hint about her food interests from her Facebook or Instagram profile, then you can start your conversation on that very topic. Such Tinder icebreakers often work for girls who are foodies. 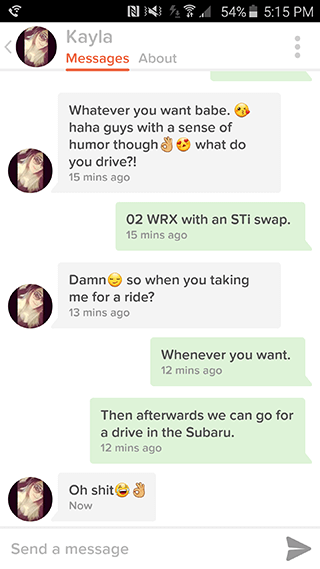 The sense of humor: It is always the funny guy who lands with the best girls. But things that make a school child or your young cousin giggle may not work on Tinder. A certain level of humor is required to get the attention of the girl you want. A study says that 97% of women go for guys who have the talent of tickling their funny bones. So just looks won’t get you far unless you have a charismatic personality and a good sense of humor. 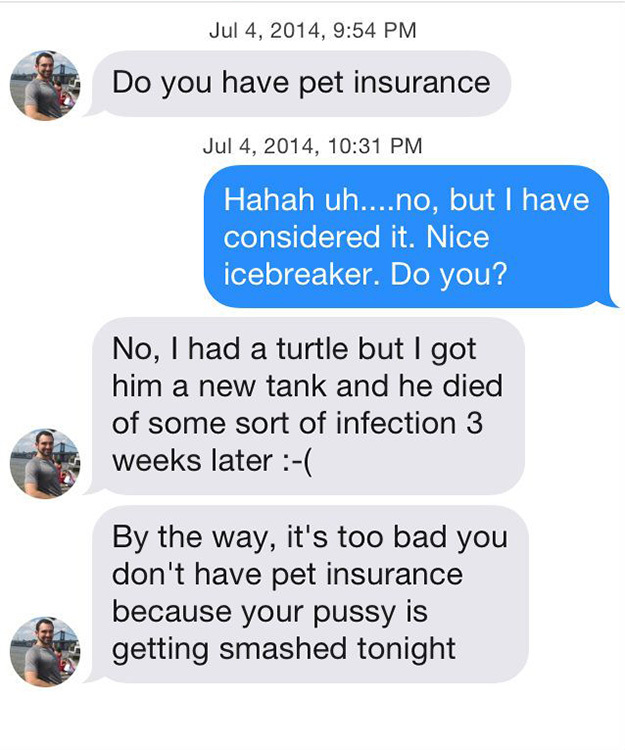 We have listed some of the best funny Tinder icebreakers that will help you in breaking the silence between you and your girl. Jokes always blow off the tension and give a good feeling about each other. 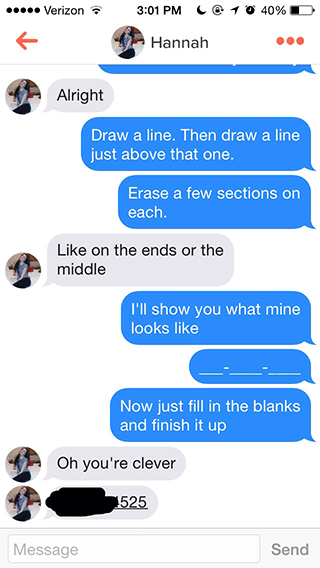 It is an excellent trick to break the ice on Tinder. GIFs: You might not have used GIFs to break the ice on Tinder till date but it is one of the most effective ones. 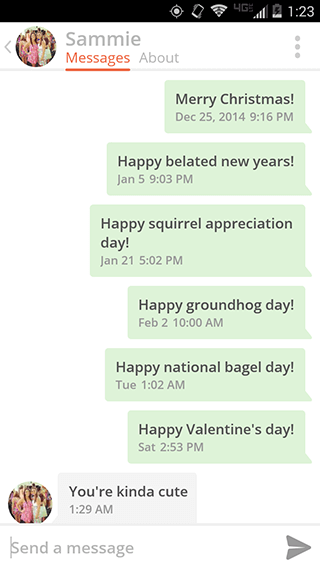 Funny and sarcastic GIFs on Tinder always get you positive responses as people love GIFs. Try pairing up the GIFs with strong and funny messages so that it becomes the topic of conversation for you guys. You can try GIFs from funny movies or TV shows like that of Ellen DeGeneres and Jimmy Fallon to get some cheeky and funny comments and pick up lines. If you want to go for desi dialogues, then try using comments from Kapil Sharma’s shows or old Bollywood comedy flicks. 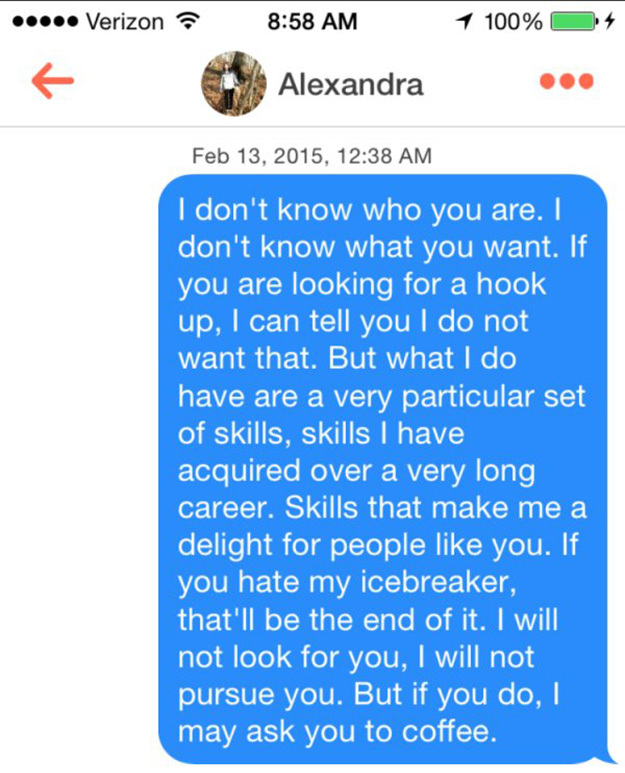 We hope the Tinder icebreakers have worked out for you guys. Please do mention your experience in the comments below. Best Windows 10 Themes Download 2018 Latest 20+ Theme ! [*Free] 14 Best Games like Skyrim for Android You Should Try Right Now!